Have you heard that a loan modification could be the answer to your dreams? In some cases, it decreases mortgage payments and protects your credit score. However, on the other side, there are significant risks you take regarding your credit, especially if not approved for the modification. Here are the six downsides to a loan modification. The first downside of a loan modification is to realize, you may not qualify off the bat. 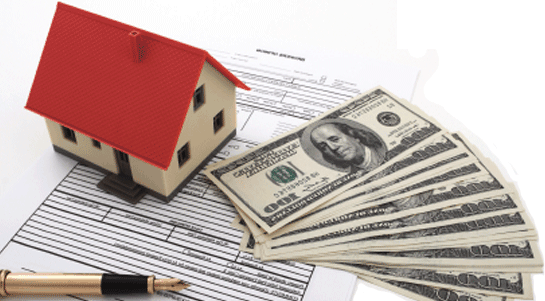 The purpose of a loan modification is to help reduce your mortgage payments based on your pre-tax income. However, while unemployment is income to you, it is not considered the qualifying income under the Home Affordable Modification Program. You should realize that once you apply for the loan modification program, the lender may ask you to make a lower monthly payment for their “trial period”. This reason could be to ensure you can handle the payment. However, partial payments are reported as such and that can have a negative impact on your credit score. If approved, be sure your lender corrects your report. If denied the loan modification, the negative marks will remain on your report. During your trial period, making the lower payments places your principal payments behind. So if denied the modification, on top of your credit score suffering, you now have additional late fees to cover. This is doing the exact opposite of what you were hoping for – to protect your credit and have a more manageable mortgage payment. Over the past few years, mortgage accounts have transferred from servicer to other servicers, often without the homeowner even noticing. If this happens during the middle of your loan modification application process, it’s possible your application could be delayed or worse; you have to start over. You get a new job? You start working an additional part time job? Your spouse gets a raise? That means your new loan modification payments could be higher, and in some cases it could be higher than your current mortgage payment is. So it’s important to consider these factors when your application is pending. If you get a loan modification you may not qualify for other lines of credit. Those that finally get approved for their loan modification find it hard to qualify for other types of loans in the near future. Having bad credit and getting a personal loan can be difficult especially if there is recent late payments. Finally, remember, this is an application. So it can go one of two ways – approved or denied. If the application does not seem satisfactory to the lender, a denial could occur. They may not feel you can keep up with the payments if you are currently behind. On the other hand, the lender may decide that it’s just not worth it to keep the property at all. If so, they may discuss options of you selling the property via a short sale or start with the foreclosure proceedings.